Canary Wharf’s annual Winter Lights Festival sees over 200,000 visitors descending on the area every year, braving the cold of winter to witness a spectacle of movement, colour and light. The festival, which runs every January, is comprised of 21 installations created by artist from around the world. Lighting in the home is all about balancing shadow and light. Dark spaces are just as important as light ones and you can play on this easily to create different moods, define spaces and emphasise certain architectural elements. We design projects to captivate our audience, whether that’s a residential purchaser, a hospitality client, a spa-goer or a hotel guest. We want to invite them in and put them at ease and lighting is a fantastic tool to help us achieve that. 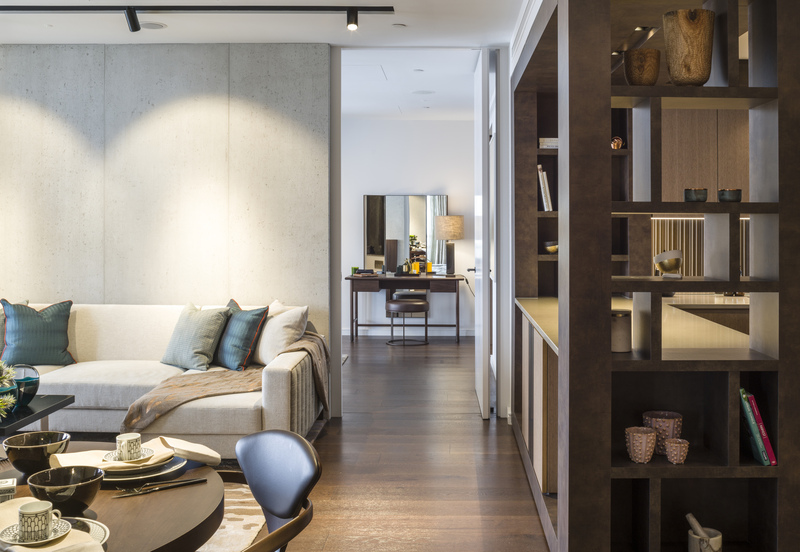 For residential projects, when looking at lighting within the home, you need to consider the activities that take place within each space and ensure there is adequate brightness for them. Where there is plenty of space for each activity, this is relatively straightforward; but when space is at a premium, the ability to have multi-functional spaces with flexible lighting is essential. Natural or warm light is far more flattering than the cold and intrusive blue-based lighting we see so much of nowadays, especially in kitchens. There is a place for that kind of lighting, but more in the commercial world. It doesn’t tend to create the intimacy you need for creating a real home. Take inspiration from the Scandinavian way of living instead, where – for example – you’ll see candles burning all day. That glowing light harks back to our earliest roots, when we cooked on open fires and gathered together for warmth. We still subconsciously associate warm light with a sense of belonging and community. It really allows us to let go of our boundaries and relax. On the spectrum from ultraviolet to infrared, blue light is produced at the start of the day, energising us and suppressing melatonin (the hormone that makes us sleep). Natural warm light occurs at the end of the day, which brings out the melatonin and makes us sleepier. There is a science behind finding that right balance of warmth and we often work with technical lighting designers to establish exactly the right level of luminosity for a space. Lighting has become much more subliminal and we have actively moved away from stark down-lighting. We always use ambient sideways light, rather than anything from the ceiling. It is much more natural, flattering, warmer and cosier. 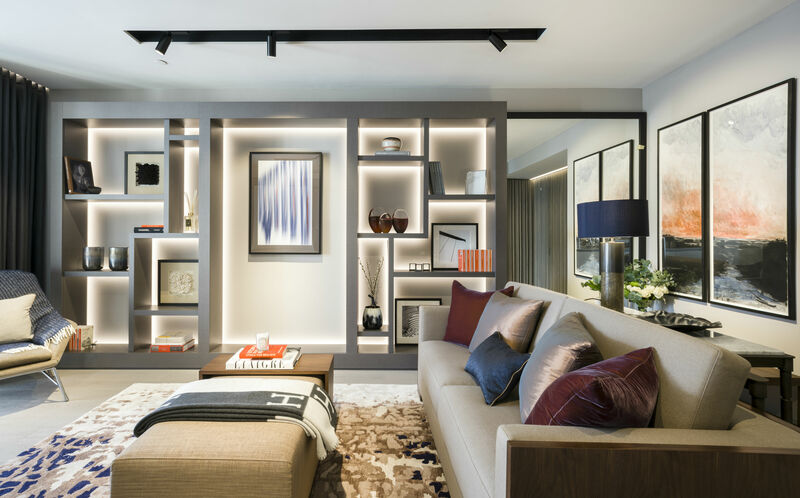 For many, lighting within the home is an afterthought; but if you consider it as another element of the architecture, you can cleverly build it into the overall design. Indirect or hidden lighting works best when you can’t see the source, and yet it’s able to add another dimension. 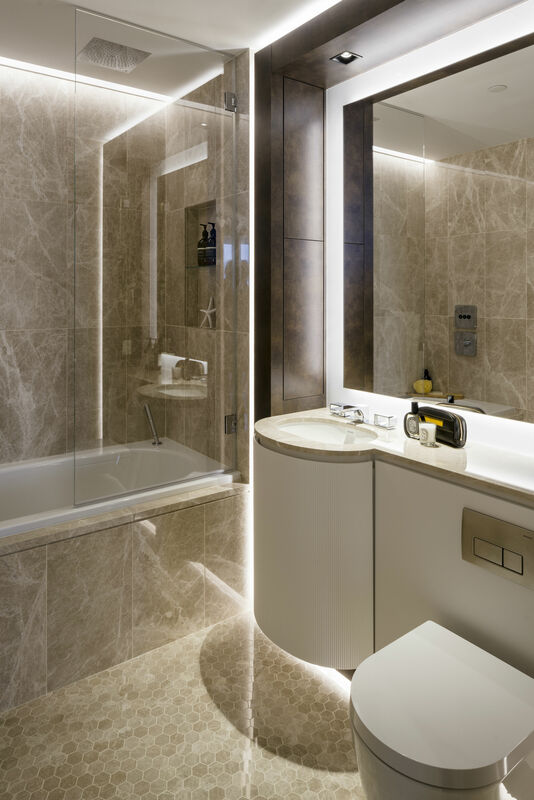 We have used a lot of indirect lighting in the apartments at One Park Drive, for example – in the bathrooms, which are quite hard spaces to dress. We used soft halo lighting around the mirrors and backlighting behind the trims that blend seamlessly around the framework. By hiding the lighting in this way, we are directing the light onto the walls, so that it reflects back into the space, rather than beaming it down directly onto your face. Architectural lighting, which means lighting fixed to the interior surfaces such as ceilings or walls, can be used to set the overall scene. Track lighting set at around 2,000 Kelvins, for example, means you can incorporate a number of multi-directional lights that are still soft and atmospheric in order to highlight certain sections of a room, or focus light on artworks. Materiality is a reaction to the ubiquity of technology and the fact that the images we see via technology are 2D and flat. To counter this, we use a combination of decorative and architectural lighting to paint a canvas with our interiors, helping to not only light up a space, but highlight different textures, pieces of artwork and fabrics, creating a layered and 3D environment. There are always design challenges in any project and coming up with a different language every time is a big part of that. The ribbed panelling used on the exterior of One Park Drive was a really interesting element for us to play on, for example. We honed in on this inside, creating timber panels and using lighting to really show off those textures. 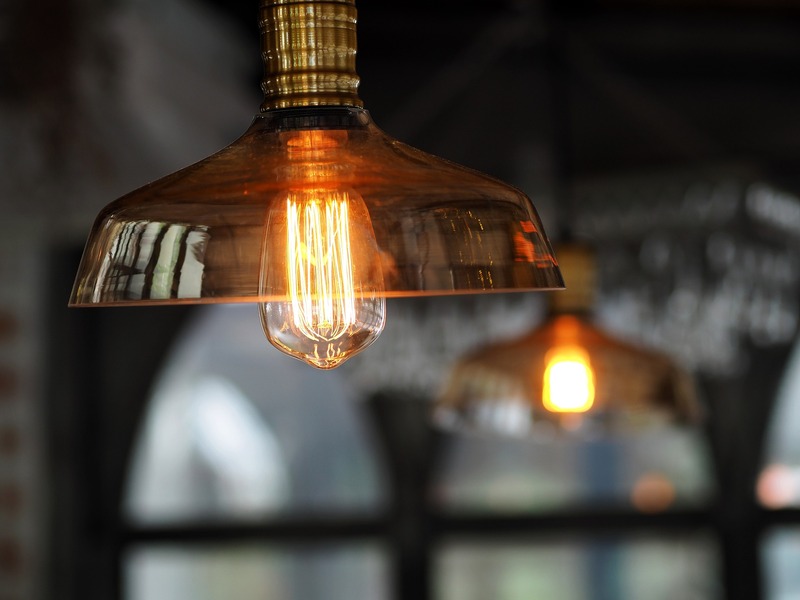 The industrial light bulb is something we have seen way too much of. Even though they have developed energy efficient LED versions, people are moving away from the raw industrial look and refining it a lot more. Instead, consider elements of marble and real brass for light fittings. 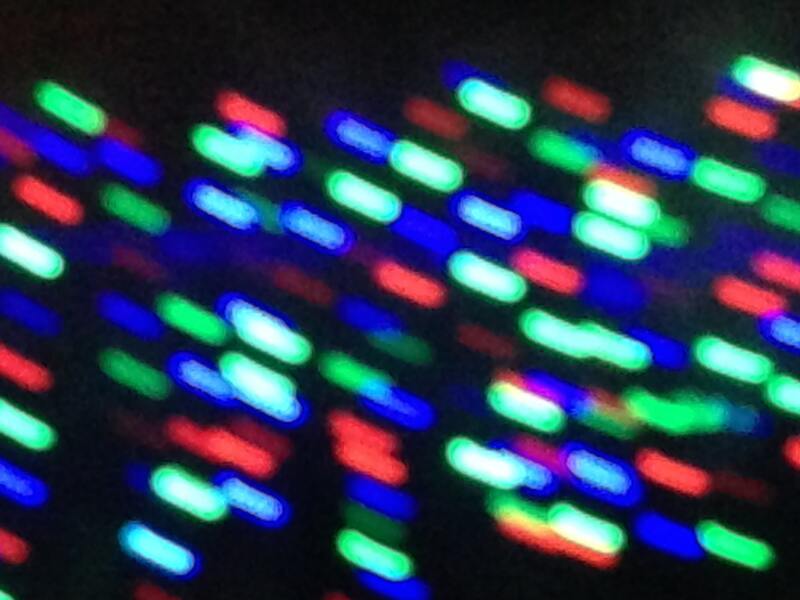 When we first got access to coloured lighting, people went a bit crazy with it. Every kitchen unit and worktop was lit, so our homes started to resemble giant spaceships. Coloured lighting works particularly well for signage and wayfinding on commercial projects or as a standalone art installation, but, on the whole, it has very little place in the home. Sometimes less really is more! We have definitely seen the end of down-lighting; it is unflattering and can often over-flood a room. Sideways and hidden lighting options are far more flattering and methods such as track lighting – although on the ceiling – give us greater flexibility over the direction of light. There is a time and a place for down-lighting, for example in utility spaces, but on the whole we avoid it in residential projects. 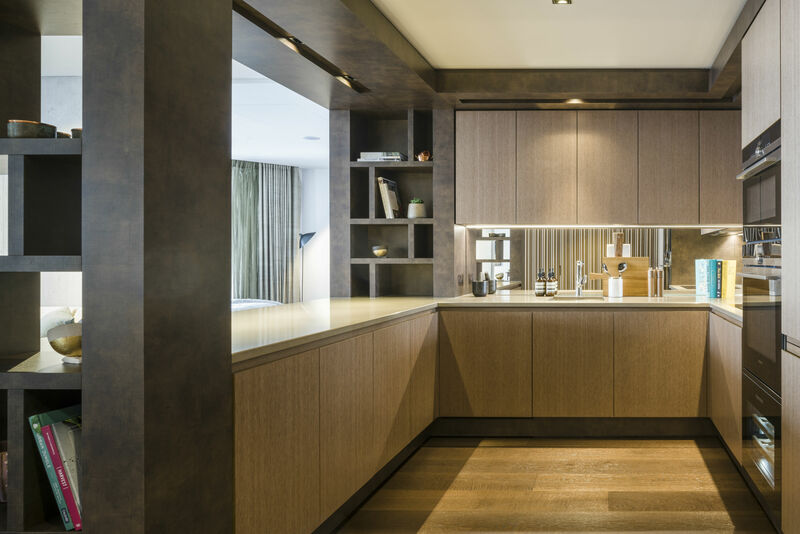 One of London’s leading interior design companies, Goddard Littlefair is the studio behind the sumptuous interiors and lighting for the ‘Cluster’ and ‘Bay’ apartments at Canary Wharf’s signature development, One Park Drive. The new development is situated in Canary Wharf Group’s new residential district, Wood Wharf. Designed by Herzog & de Meuron, One Park Drive includes 482 apartments divided into three typologies: Loft, Cluster and Bay. The ‘Loft’ apartments have been designed by Bowler James Brindley.